Researchers backed by Tesla Inc. founder Elon Musk and Silicon Valley financier Sam Altman have found a novel way to use software to teach a human-like robotic hand new tasks, a discovery that could eventually make it more economical to train robots to do things that are easy for humans. 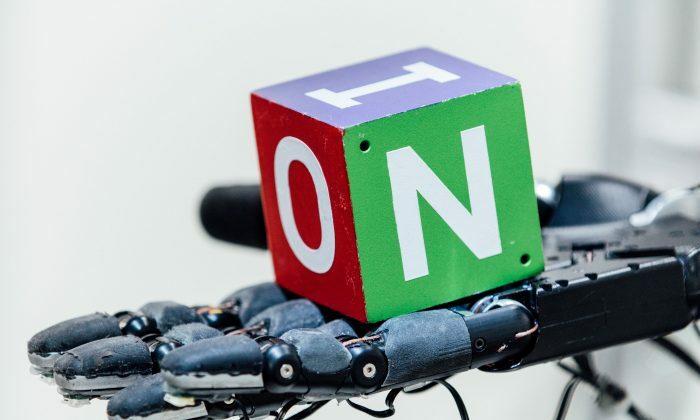 Researchers at OpenAI, a nonprofit artificial intelligence research group founded in 2015, said on Monday they had taught a robotic hand to rotate a lettered, multicolored block until a desired side of the block faces upward. Physical training takes months or years and has problems of its own—for example, if a robot hand drops a workpiece, a human needs to pick it up and put it back. That is expensive as well. Researchers have sought to chop up those years of physical training and distribute them to multiple computers for a software simulation that can do the training in hours or days, without human help.